The electricity has now reached the people of the village under Deen Dayal Upadhyay scheme. Narla Bambal village is 115 kilometres from the city of Rajouri. 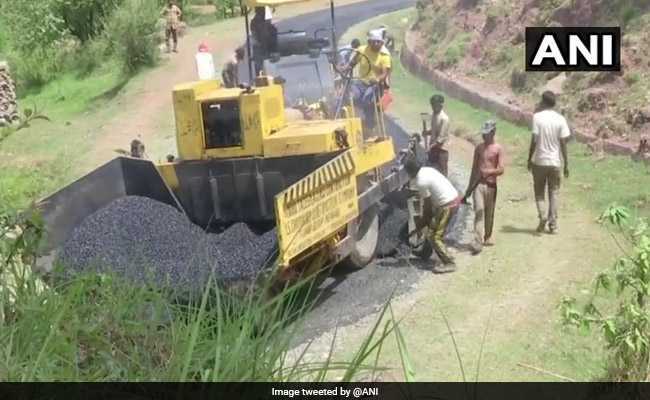 A village in Jammu and Kashmir's Rajouri district received electricity connection and metalled road for the first time since Independence. Narla Bambal village, 115 kilometres from the city of Rajouri, is now connected to the rest of the state by road, which was constructed under Pradhan Mantri Gram Sadak Yojna. Shahid Iqbal, the district collector of Rajouri, said, "All the developmental works in these areas can now be done without any problem." "We had heard that our country has been free for 70 years, but we were enslaved for way too long. We have a new life after 70 years, now that we have access to electricity and roads," said a local about the development in the area. The Kotranka sub-division and Kalkote sub-division of Rajouri district have been connected for the first time after 70 years of independence. Last month, the Central and State government also constructed 'pucca houses' in Rajouri, for those living below poverty line under Pradhan Mantri Awas Yojana.